If you’re planning to get out and about now it’s getting warmer or simply find a fresh place to enjoy the magical summer vibes, we’ve selected five of our fave spots around the South that provide a haven for horticulturalists or those that love to get a little closer to nature. If you’re green fingered or just enjoy a little bit of garden inspiration, Petersham Nurseries is a haven from the hustle and bustle of the capital and an inspiration for garden lovers. If you just like finding somewhere new to explore and great places to dine, get booked into their glasshouse for some delicious food or enjoy a scrumptious cake in their tea house. Find some unique interior items and gifts in their shop or simply wander through their stunning nursery. Paul Studholme discovered the derelict remains of a walled garden that had long ago serviced Cobham Hall. Once a thriving garden growing exotic fruits and vegetables, it had fallen into disrepair until Paul and his team gave new life to it. Their aim; “to encourage people to think more about the power of nature and inspire them to create a bit of ‘good medicine’ in their own gardens and homes”. This captivating place is a haven of mindfulness and holistic activities, such as dedicated spaces for yoga and Thai Chi. There are multiple places to relax, eat, drink and appreciate nature, all within the cosy protection of the Victorian walled garden. This captivating place is a haven of mindfulness and holistic activities, such as dedicated spaces for yoga and Thai Chi. There are multiple places to relax, eat, drink and appreciate nature, all within the cosy protection of the victorian walled garden. Once a Saxon pig farm and then a prison during Tudor times, Sissinghurst’s fascinating and diverse history is one of the many reasons to pay it a visit, but since it opened to the public in the 1930’s to paid visitors, the stunning garden has become the main focus of the Sissinghurst estate. With areas of the garden designed to look their best around the months of March – May, now is the time to plan your trip to this magical place. If you’d rather surround yourself with a landscape that’s a little more rugged and natural, you might want to venture down to the unique and desolate landscape of Dungeness in Kent. This fascinating plot of land made of shingle that juts out into the English ocean provides a home to over 600 plant species and is a fabulous spot for observing migrant birds. If you’re a fan of unusual architecture, Dungeness is also a haven for contemporary buildings and art installations. If you’re a keen amateur photographer, there’s plenty of photography fodder among the ram shackled buildings and dishevelled old boats. Even if you’ve visited Kew a hundred times, there’s still enough beguiling beauty, fascinating plants and calming tranquillity to warrant further visits. As London’s largest UNESCO heritage site and with its constantly changing exhibitions and innovative installations there’s always plenty to see and do across its vast grounds. 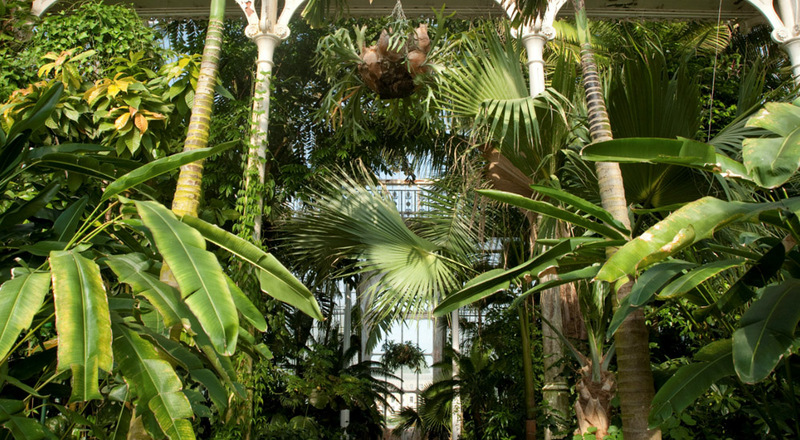 Whether you’re a keen botanist and captivated by the variety of plants or you just want an enchanting place to take the family for a relaxing and fun day out, Kew has a little bit of everything for everyone. Pssst…If you can squeeze it in, try and grab a boat ride to Kew and arrive in style!